Love is in the air this February in Tampa Bay! The city&apos;s love for food, music, the arts and more all come alive this month as the weather (finally) cools down. From amazing shows at the Straz Center to a Latin Night of dancing at Maestro&apos;s Restaurant, there is plenty to do this season in Tampa Bay. OK, Tampa Bay Fanilows, this may be your final chance to see He Who Writes the Songs perform live. 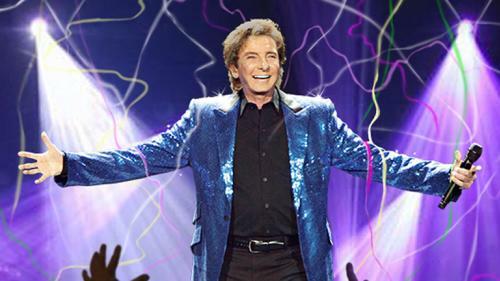 Barry Manilow recently announced that he is going to “hit the road” and perform concerts across North America ONE LAST TIME! The music legend&apos;s multi-city ONE LAST TIME! Tour stops in at Amalie Arena. Special guest DAVE KOZ will be joining Manilow on this show date. What will they deep-fry this year? The Florida State Fair is the place you go to test your stomach -- both on the deep-fried culinary concoctions and on the whirling, twirling rides. Just not necessarily in that order. 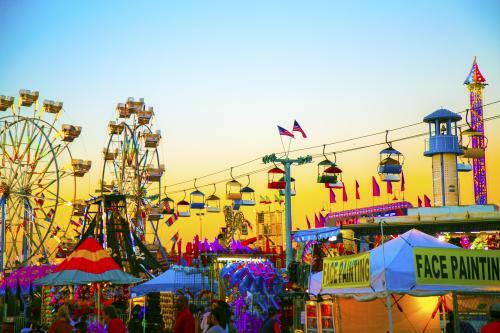 The state fairgrounds on I-4 east of downtown come alive for 10 days with everything that makes a fair fun, right now to the prize pigs! Get yourself down to the fair for music, food and fun before it&apos;s gone. The live-action version of Disney&apos;s animated classic conquers the Straz Center for the Performing Arts as part of this year&apos;s Broadway series. Singing, dancing and brilliant puppetry bring to life the story of set on the African plains. You&apos;ll be singing "Hakuna Matata" all the way home. Break out the earplugs and smell the gasoline! 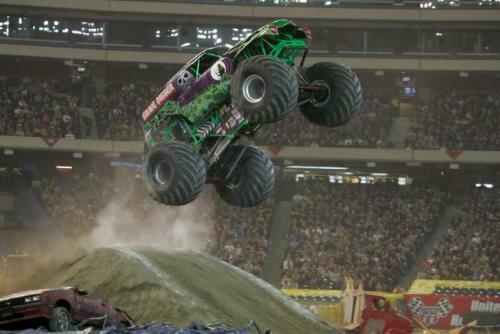 Monster Jam electrifies crowds with its breathtaking stunts and the awesome power of the world’s most popular monster trucks at Raymond James Stadium. It&apos;ll be a smashing great time! 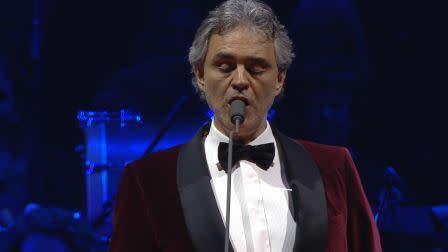 The famed Italian tenor, blind since the age of 12 because of a sports accident, will fill Amalie Arena with his song. 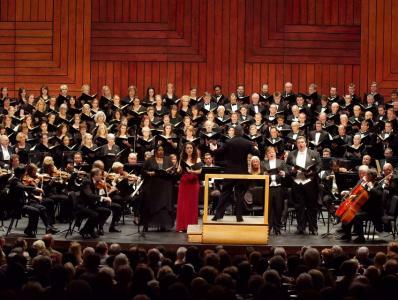 Bring your sweetheart for an evening of love songs and popular music when the Florida Orchestra brings its latest pops concert to the Straz Center for the Performing Arts. You&apos;ll recognize tuns from West Side Story, The Beatles, and even Star Wars. 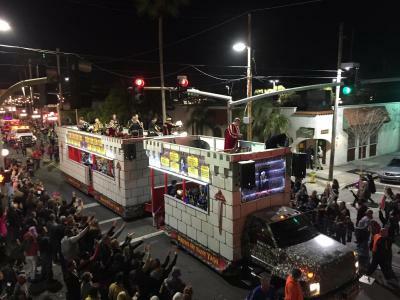 Tampa Bay&apos;s historic Ybor City neighborhood glows with dozens of lighted parade floats as part of the nation&apos;s largest illuminated parade. Join the throngs on Seventh Avenue (La Septima) reaching out for the flying beads. This Tampa Bay tradition has been going on since the 1970s and fills Ybor City with events all weekend long. Enjoy an evening filled with food, live music and dancing at Maestro&apos;s Restaurant. Experience Latin-inspired tapas, drink specials, and the upbeat Hispanic atmosphere with a live salsa band and DJ. Dance guidance provided by Simone Amaral of Simone Salsa dance studios. 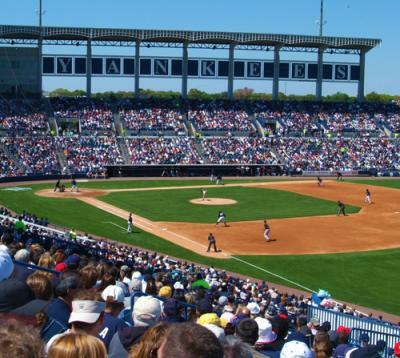 National League pitchers and catchers report, and that means the New York Yankees return to Tampa Bay&apos;s Steinbrenner Field, their Spring Training home for the past 20 years. The rest of the team arrives Feb. 25. Stake out your seats and get a early peek at this year&apos;s talent through Opening Day in April. Looking for little Yankees nostalgia? Famed shortstop Derek Jeter lives in Tampa Bay. His mansion on Davis Islands is visible from the water or you can make a slow roll past the gate. Legendary Yankees owner George Steinbrenner, who also called Tampa Bay home, died here in 2010 and is buried north of town in Trinity Memorial Gardens. Lace up your running shoes and get ready for the third part of Tampa Bay&apos;s annual Gasparilla Season. The Gasparilla Distance Classic brings runners from around the world to sunny Tampa Bay to test themselves on courses that cover half-marathon, 8K, 5K and 1 Mile. The kids can get in on the fun run as well. Too cold to run up north? We&apos;ve got just the right weather here in Tampa Bay. 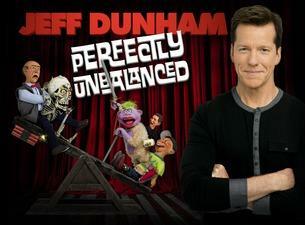 Jeff Dunham is an American ventriloquist, producer, and stand-up comedian who has also appeared on numerous television shows, including Late Show with David Letterman, Comedy Central Presents and The Tonight Show. Dunham makes an appearance at the Amalie Arena for his 2016 tour "Perfectly Unbalanced" late February. Tickets are on sale now. Launching their first national tour, Matilda bring audiences a grand performance based on Roald Dahl&apos;s 1988 classic underdog story of Matilda. Enjoy the heart-warming story of a girl who doesn&apos;t let circumstances pave her destiny.